I love all her books, but these ones especially. Mothers family is from Edinburgh and I have visited there. I really enjoyed all three books very much and hope there is another in this series soon!! 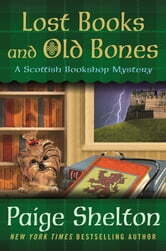 Lost Books and Old Bones by Paige Shelton is the third tale in A Scottish Bookshop Mystery series. Delaney Nichols has relocated to Edinburgh, Scotland where she works at The Cracked Spine, a rare book and manuscript shop. Delaney has two new friends in medical students Rena and Sophie. They met when the ladies brought in some antique medical books to sell (which her boss, Edwin MacAlister loves). She went out to a club with them where they encounter Mallory and Dr. Byron Eban (an odd man). Dr. Eban has a particular fascination in Burke and Hare (two men who killed to obtain corpses for Dr. Knox to use for medical research). Dr. Eban believes Edwin owns the scalpels by the famous Dr. Knox (hidden in his not so secret room). Delaney cannot resist checking for the blades before heading home. The next morning, Delaney gets a call that someone broke into The Cracked Spine and Mallory was found dead in the alley beside the shop with a skull from the medical school next to her. Delaney, with the aid of the books, delves into the case to catch the culprit. Lost Books and Old Bones can be read alone. The details a reader’s needs are included in this tale. Delaney does talk about past cases in the story as well. I love the setting of this series. The author provides us with beautiful descriptions of Edinburgh as well as historical tidbits. Another delightful part of the book is the books referenced (who doesn’t love visiting a bookstore and browsing for hours). The paranormal element (the books in The Cracked Spine give her cryptic clues) is barely present. I wish the author would incorporate it more into the story. Burke and Hare are an integral part of the story (mystery). Ms. Shelton wove their history into the story. Their tale is creepy and fascinating. Delaney devoted her time to solving the mystery. She goes around asking questions and people just answer them (I know it is fiction but is this realistic). You would think someone would tell her to bugger off. Delaney spends little time at the job that pays her bills, but she does have time for her boyfriend, Tom (and to be jealous of old girlfriend who appeared at the crime scene and happens to be a reporter). The author does not fully flesh out the secondary characters (Rena & Sophie for example). I found the pace to be slow especially in the beginning which was also disjointed. It lacked an ease and flow. There was too much repetition of certain details (how Delaney is not good friends with Sophie and Rena). The mystery had some interesting components (Dr. Eban is particularly unnerving) and there is misdirection to throw readers off the real killer. However, it really did not work as I had no trouble identifying the culprit (the who and why). The story could have used more action (needed something to liven it up). 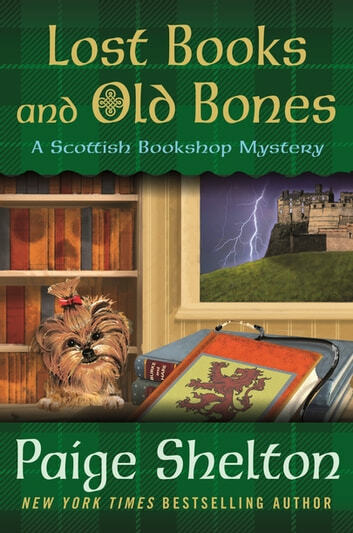 I am rating Lost Books and Old Bones 3 out of 5 stars. Lost Books and Old Bones just failed to capture and hold my attention.